Once we arrived in Melaka for a weekend trip, we wanted some Nyonya food without having to go far. We decided to try Amy’s, since it was close. But alas, they turned us away at 1pm saying they weren’t cooking anymore! 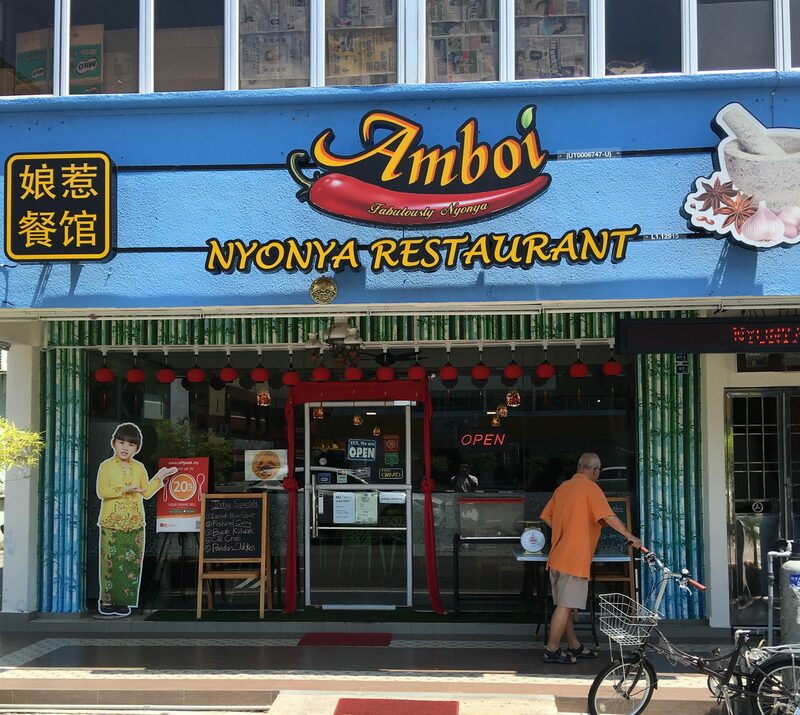 So we went a few doors down to Amboi to try their food. 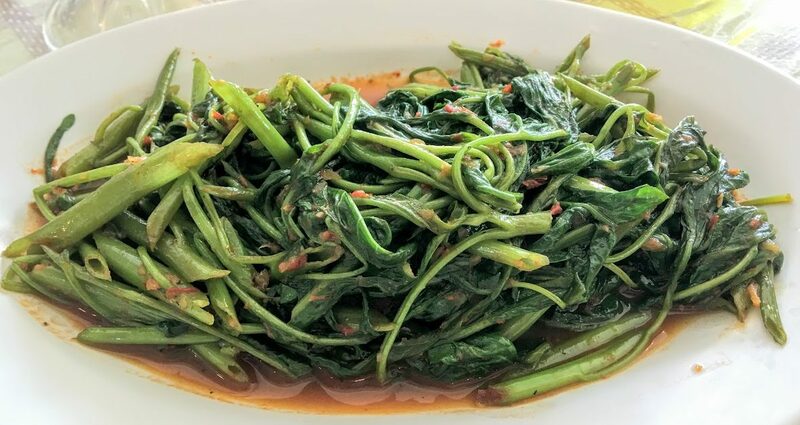 It’s a little tough to get Nyonya food without a little bit of spice, but since I am the only one in the group that likes spicy, it’s tough to get a decent menu. We each went for a dish, and I wanted the Pie Tee. Quintessential Nyonya food this is. Nicely done, crisp shells, the filling was fresh and light. A great way to start it out. 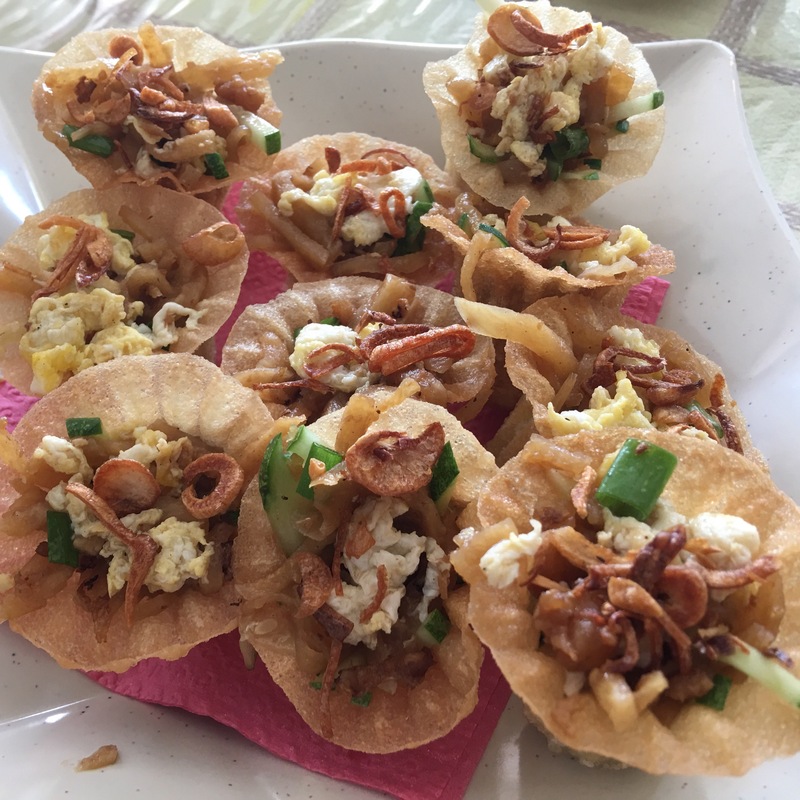 Some Sotong Fritters. A little too much batter and not that great to be honest. 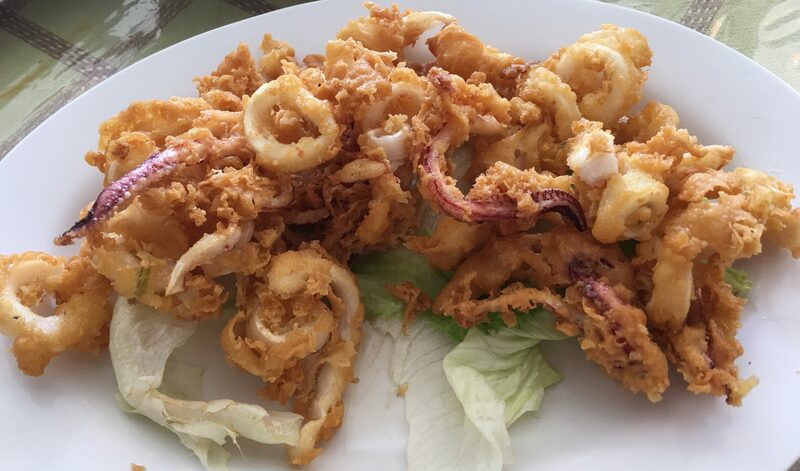 Sambal Sotong would have been nicer, but we didn’t want a lot of spice. My FIL calls for Sambal Sotong with a little bit of Sambal. Which was strange, because if you know my FIL, he doesn’t eat Vegetables. Veggie was fresh, that’s for sure. The Sambal was quite nice too. 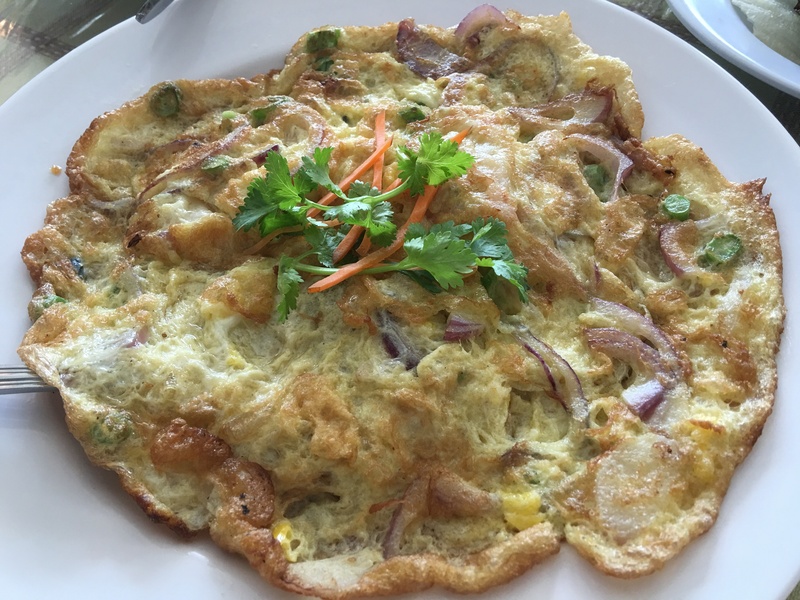 Prawn Omelette. A very run of the mill dish. 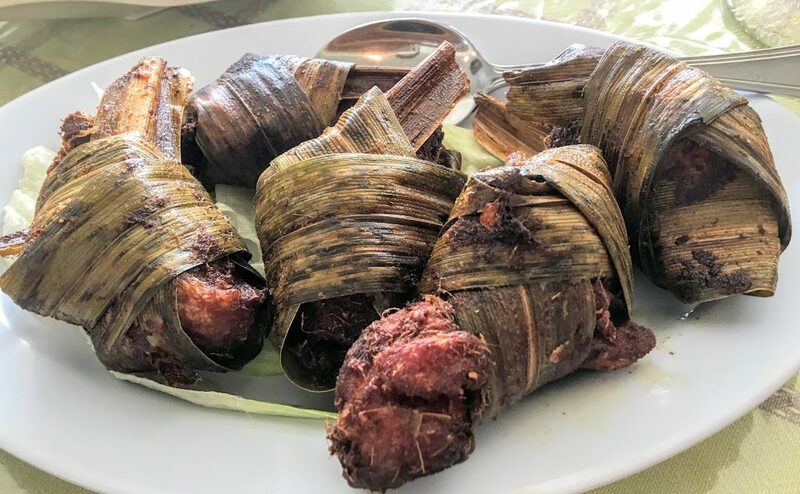 Pandan Chicken. Not sure why my MIL called this, but she did. It was quite fragrant and nicely done actually. Quite juicy inside. But I thought this was a Thai dish?? Not quite the best Nyonya experience, but not bad either. Posted in Melaka, NyonyaTagged Malaysia, Melaka, NyonyaBookmark the permalink.